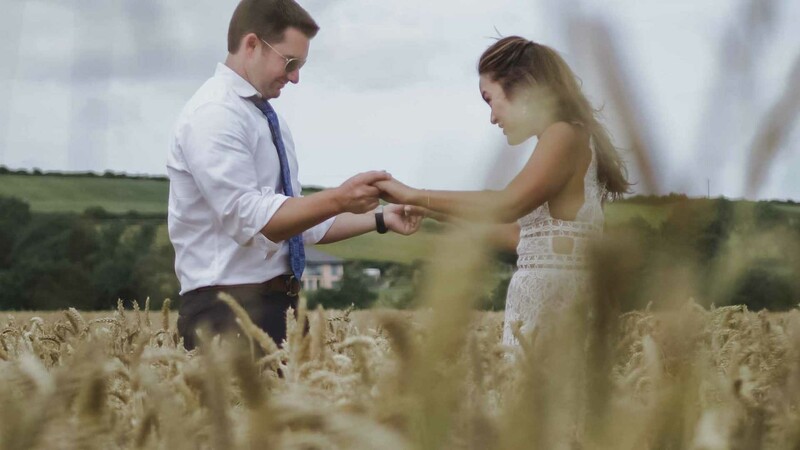 When California based Elaine first got in touch with us about filming a surprise Vow Renewal in Ireland with her husband of 10 years, Heath, we had a feeling this would be a truly special event and an unmissable opportunity to create a beautiful film for the couple and their family back in California. From over 8000km away, Elaine had secretly managed to arrange with Trevor Sheehan of Castlemartyr Resort, Noreen O’ Callaghan of Marry Me Ireland and ourselves a day that Heath would never forget. In fact, except for a select few family members, no one knew of Elaine’s plans at all! Self admitting that their wedding day 10 years ago was a big affair, with most of the focus on Elaine at the time, she wanted to do something special for Heath, where the focus would be on him for the day. So after a Skype call and lots of emails, we hatched a plan on locations, times and ideas with Elaine. And as you can see from his sleepy head when he opens the hotel room door, Heath had no idea about any of it. What followed was a day of stone splitting sunshine, first looks at castle walls, vow renewals on Atlantic cliffs and beautiful memories of how far the couple had come in the past ten years since their wedding day. We are delighted to be able to bring this film to you, and for Elaine (and Heath) in trusting us to deliver something they will be able to treasure for years to come. It was a pleasure to video your 10 year vow renewal, and here’s to many more years to come!